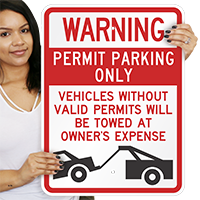 Scare off violators with a bold red and white warning sign with a striking tow-away graphic. 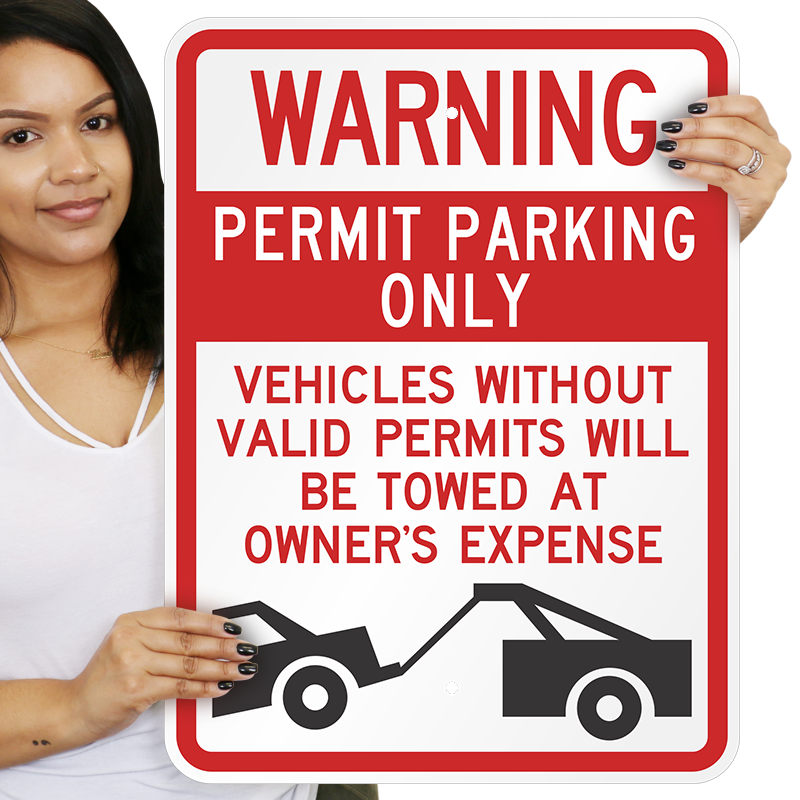 Save parking for drivers who have permits. Made from 3M's reflective films. Rustproof and lightweight signs outlast steel or plastic. 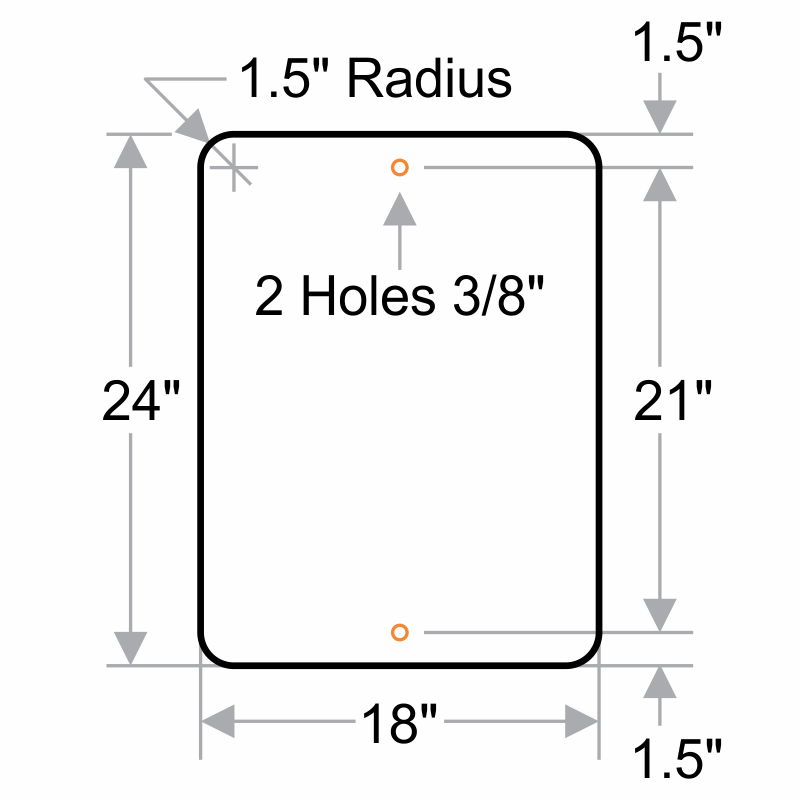 Use the mounting holes to easily install these on U-channel posts or fences.